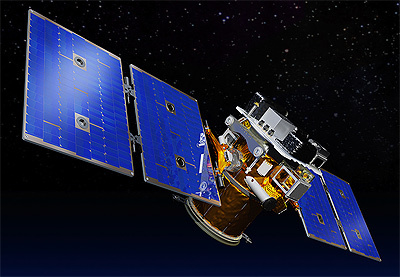 STPSat 5 is a planned experimental spacecraft for the Department of Defense's Space Test Program (STP). STPSat-5 will carry a total of four technological or scientific payloads to low-Earth orbit in order to further the DoD’s understanding of the space environment. The experiments are chosen by the DoD Space Experiment Review Board. The satellite is based on SNC's SN-50 bus, which is compatible both with dedicated launch vehicles and ESPA-class secondary launch adaptors. Among the experiments selected is iMESA-R (Integrated Miniaturized Electrostatic Analyzer Reflight), a U.S. Air Force Academy mission designed to measure plasma densities and energies. iMESA-R, Irvine 02, WeissSat 1, ?